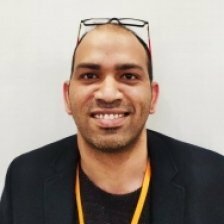 Udai Leads the Technology Strategy & Architecture space within ‘Retail and Logistics’ for Sainsbury’s. Prior to Sainsbury’s he worked with Cisco Consulting, Accenture Strategy and British Telecom. His current focus is twofold. Firstly, modernising the technology estate and to enable innovation and agility; and secondly evaluating new technologies to assess suitability and maturity. Udai is a bachelors in Electronics Engineering where he published internationally and holds an M.B.A. from Cranfield School of Management. He is Passionate about driving business transformation through technology whilst being pragmatic about organisational maturity. Udai has broad exposure to multiple industry verticals including Oil and Gas, Telecoms, Banking, Pharma and Public Services.